Taita Yunusova was released a mere nineteen hours after she was abducted. She would know better than most how fortunate she was. Yunusova is one of four middle-aged women independently documenting the horrors of the Chechen Wars and the subsequent human rights violations of Putin’s puppet, Ramzan Kadyrov. 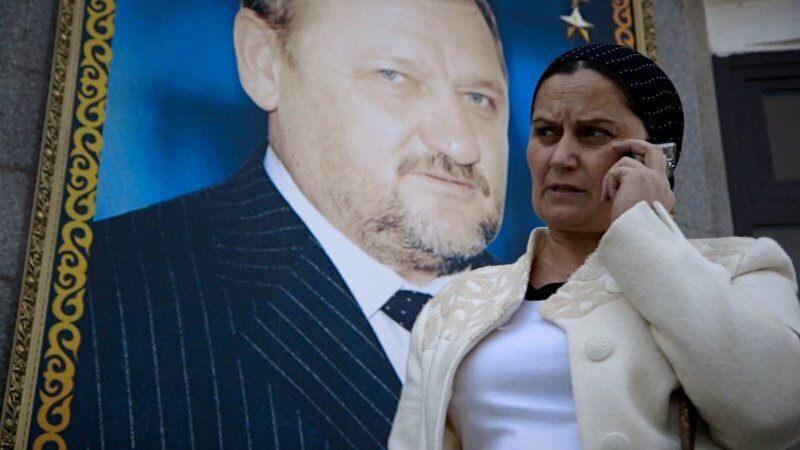 Although no longer held captive, you wouldn’t exactly say Yunusova and her colleagues are “safe.” However, by selecting Nicola Bellucci’s Grozny Blues, in which they prominently appear, for their fifteen film documentary shortlist, the European Film Academy will help spread awareness of the activists and the constant danger they face. Fittingly, Grozny Blues (clip here) screens this coming Wednesday at the Riga International Film Festival, as one of the ArtDocFest selections programmer Vitaly Mansky doubted he could present in Moscow under the current regime. Yunusova, Zargan Makhadzhieva, Tais Titieva, and the exiled Zainap Gaishaeva do not look like independent filmmakers, but they document the devastation of their country and the oral history of grieving family members, because someone has to do it. In many ways, they are living in a hostile environment. Like a lord currying favor with his emperor, Kadyrov demands Chechens kowtow to the despised Putin. Increasingly, he uses stringent Islamification policies to maintain control, even while Putin uses the specter of Islamic terror to justify his harsh pacification campaigns. Chechnya is a man’s world, affording little rights to the four citizen archivists, but it is an old man’s world, since most of the younger generations were wiped out in the Chechen Wars. Frankly, Bellucci’s approach is less authoritative than that of his subjects. Instead of facts and figures, he prefers to give viewers an impressionistic sense of life in Grozny and the surrounding provinces. It was probably quite picturesque once, but the many bombed out buildings and the massive public portraits of Kadyrov and Putin are an ever-present blight on the country. We also get to meet the Chechen Archive’s neighbor, the Blues Brothers Café. Arguably, the proprietor is just as idealistic and even more impractical than Yunusova and company. After all, he is trying to run a legit, no heavy metal or grunge, blue club in Grozny. Of course, the system is stacked against him too. He has discovered a promising young talent, but as a woman, she cannot perform in his club after five o’clock. You might say Bellucci’s style is observational and maybe even a little roundabout, but he clearly understands what he is seeing. When you listen to the women explain their trials and tribulations, including a shotgun marriage to avoid legal problems, it exposes Putin’s rhetoric as the propaganda it is. There is definitely terrorism going on, but most of it is conducted by the Kayrov’s militias. Likewise, since the dramatic Grozny-City Towers fire seen briefly in the film was attributed to safety violations, it probably can also be traced back to the notoriously corrupt regime. 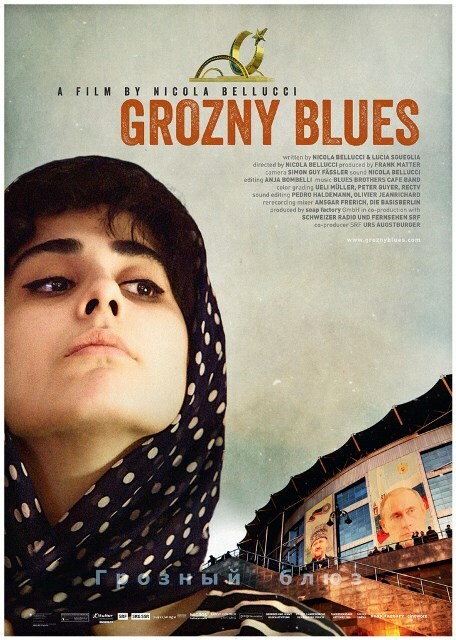 Instead of a formal indictment, Grozny Blues is like a mastercut of small, telling moments all spliced together. By going micro, we see just how systemically dysfunctional the Chechen Republic has become. As its subjects become more widely known internationally, they will probably be less likely disappear in the dark of night. Therefore, the mesmerizing and alarming Grozny Blues is recommended with considerable urgency when it screens this Wednesday (10/21) during ArtDocFest/Riga.